Our goal is to provide you with an effortless way to find a dentist in Woodstock, GA and save on Oral Surgery and more. Just enter your ZIP code to compare the discount dental plans in Woodstock and view a list of participating dentists. Choose the discount dental plan that is best for you and save 10% to 60% on your dental care bills at dentists such as Dr. Brad J Harris. Then, just go see Dr. Brad J Harris or any other participating dentist in Woodstock, GA to get discounts on Oral Surgery and more. 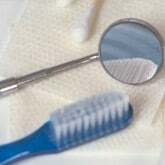 At DentalPlans.com, our discount dental plans start at only $79.95 per year and will offer you discounts on Oral Surgery and other dental care services. By searching our large dentist directory, you can find over a hundred thousand participating dentists listings in combined networks such as orthodontists, endodontists, pedodontists, and more. So if you are looking to save money on braces or cosmetic dentistry treatments like teeth whitening, bonding, and veneers, DentalPlans.com is a great resource for locating Woodstock dentists and dental care specialists.